Welcome to Stellar Marines' Corporate Communication Hub! Stellar Marines [STEEL] is an international corporation that unites its members under the aegis of Federation. As a member of the Alliance of Free Worlds our goal is to maximize profit from any mission and to provide the best experience for members, allies, friends and foes within the Star Conflict Universe and beyond. In order to post or create a topic with a new forum account (max. one per user), it has to be linked to a game account that has at least two battles played with. Forum moderators may also activate forum accounts on request. Some delay may occur. If you would like to join our corporation you can do so by posting a request here on forum, by applying in game via corporation tab, or by asking our officers (CEO, VP, officers) for invitation. Further details in „Careers” section below. Our forum has a collection of various useful information about the game in the „Galactic Library” section created to help every player. Drop by any time. If you have any incident (conflict, knowledge of violation, complaints, etc.) regarding our members that you wish to resolve directly with us, please, contact our CEO or VPs, or write us here in this forum and we will do everything we can to find a solution. Following forum rules is expected. Inappropriate posts will be modded by Star Conflict staff. Please use the "spoiler" tool if posting pictures, videos or any content with large size. Thank you and have a good time with Star Conflict. Being a relatively active player. This also serves your in-game experience a lot. We accept new and experienced players. Skill or progress does not matter. Everybody can find players to play with on every level. If you can read this then you are qualified. Having basic knowledge of English is beneficial (but not necessary) since our corporation is multinational and it is the common language. Participation in corporate battles is advised (for the sake of fun, diversity and better game experience) but not forced. Everyone can play the way they wish. Refraining from any profanity and abusive behavior on every platform of the game. Following game and forum rules is expected. Exceptional sensitivity and understanding towards each other while bearing in mind possible cultural and age differences. Find your way to have fun. Don't expect us to provide you everything on a silver platter. Find what you like in the game and "work" for it. Interact, communicate, laugh at and with each other. Chance for participating in every game mode including PvP, PvE, Co-op, Special Operations, Sector Conquest (a.k.a. Dreadnought battles), Star Conflict Leagues (SCL), Open Space (farming), and Tournaments. Casual playing with our members. Help with missions, ship builds, resource collecting, or with any question about the game. Occasional learning about the world, cultures, life and everything beyond '42' in a multinational environment. Access to our Corporate Shipyard in Federation space. About 14 days protection from automatic dismissal in case of inactivity. Returning former members are always welcome to join again. Up-to-date information about game events, patches, announcements, and organized corporate battles. Automatic acceptance of friends for the request of our members. Promotions are offered according to the needs of our corporation. Active, communicative, reliable members who are willing to help others may qualify for higher positions. the streamers and video editors for letting us watch ourselves rise and fall from other perspectives. Collection of historical data that follows up the storyline of Star Conflict universe. "The Empire is a great war machine, steadfast in its submission to the leader. This faction’s policy is aimed at expansion: expanding the boundaries of the Emperor’s power is their main priority. "The Federation is also known as the Alliance of Free Worlds. Representatives of this faction bow to no one, but have paid for their freedom with centuries of bloody wars against the Empire. The Federation cares about the development of technology. Its high quality ships are well eqipped, speedy, and convenient for travel and transporting goods. Men of the Federation use weapons primarily for self-protection, which is why the Federation keeps developing portable and stationary devices to generate solid force fields. "The heirs of people who were long ago banished from the Earth, Jericho are quite suspicious of and harsh toward strangers. Forced to live for a long time on huge spaceships flying into the unknown, the representatives of this faction have worked hard to improve their technology, and now Jericho is the most technically equipped faction. Jericho's ships are fast and maneuverable. Their arms are not only superior in design to those of the other factions, but also differ from them in many ways. A powerful electromagnetic wave covers the solar system. All radios on Earth register the signal — a digital stream that came with the wave. Because of its activity malfunctions occur in networking and communication tech. Soon, scientists say that the signal has an artificial, extraterrestrial origin. Despite all efforts, it can not be decrypted for many years. The world's leading laboratories can not even establish any patterns in the signals. Major corporations manufacturing electronics supply their equipment with expensive ‘jammers’. After ten years signal becomes a part of everyday life for many. Of course, it leaves a powerful imprint on the world culture. It’s a theme for documentaries and even feature films. Sometimes self-proclaimed visionaries claim they decoded signal. As a rule, they are ignored. In society there are new philosophical and religious movements. The beginnings of a new faith are gradually formed — faith in the signal. Its supporters believe in the need to reach the Divide — the limit beyond which humanity meets gods. In many ways, this is the reason for the start of a new era of space exploration. There comes a time of technological stagnation. Except for minor pushes, progress is almost standing still. None of the modern technology can overcome significant cosmic distances and break out of the solar system. To solve this problem, humanity begins construction of the so-called ‘Frontier’ on Earth’s orbit — a giant booster complex used to enable travel to distant worlds. During the test run it fails, which turns into a disaster. The complex is destroyed, severely affecting the Earth's surface. This event is followed by a social and economic crisis. There is a split in society. Faith in the signal starts to turn extremist. Its followers accuse ‘unbelievers’ of sabotaging the Frontier, and those accuse ‘fanatics’ of everything. A troubled era starts. Earth becomes the epicenter of multiple conflicts. Control of the government of the Earth over the colonies is slowly weakening. The struggle against separatism turns into a series of civil wars. Riots occur on Earth.The backbone of the rebels is formed by the so-called ‘Divide’ fanatics. This extremist organization soon became the main church of believers in the signal. It’s headed by a self-proclaimed messiah — Bartle. Little is known about his personality. It is alleged that he is a scientist who has managed to decipher the signal and hear the words ‘Find us’. Official media reject this version and Bartle is called an ‘ordinary terrorist’. In any case, Bartle has a remarkable mind and incomparable gift of persuasion. He manages to competently organize and direct the rebels, turning them from a chaotic swarm into a united powerful force. In several years, Frontier gains a multibillion army of followers. The threat posed by fanatics becomes obvious. Sides are joining forces to form Direktorium. The new special structure is endowed with special powers to combat the Divide throughout the solar system. An exhausting war begins. Direktorium manages to win at a significant cost. Bartle is in hiding. The Government divides the citizens on religious grounds, repressions begin. However, eradicating faith from people's minds is impossible. Year 2780 sees the adoption of the ‘Divide Decree’. Bartle followers are exiled to the depths of space. Imprisoned fanatics build giant arks. Many Divide followers surrender to authorities and voluntarily agree to participate in the project. Soon a huge fleet leaves the solar system and its radio comms go silent. Direktorium eventually turns into a new world government; the civilization that adopted the same name, is thriving. Technology progress is moving in stages at increased pace. New terraforming tech proves effective — the solar system is densely populated. They also allow to neutralize the effects of the Frontier disaster. The few remaining Divide followers in the solar system continue to conduct terrorist activities and are harassed. After a series of high-profile murders committed by a group of fanatics, they receive a nickname ‘Revenants’ from the media. The caught killers are so densely packed with cyber-implants that they are like zombies. Soon the Revenants form some sort of a secret organization, the Order. They decide to spread the word of Bartle, while hiding in the shadows. The conspirators find their nickname to be fitting. Revenants are spirits of vengeance, the ghost of destroyed and decapitated Divide, which aims to repay its killer — Direktorium. In 3046, the signal disappears as suddenly as it appeared at the time. There is a breakthrough in travel technology. Mankind builds the first experimental warp devices, although they are extremely cumbersome. Frontier project is reanimated. The new plan is considered to be less adventurous than the former: It was decided to build several massive complexes that provide travel between the planets of the solar system. Warp systems are becoming more efficient. Mankind goes to the stars, actively settling nearby systems. Fringe worlds are attacked by an unknown ship. After a while it becomes clear that the attackers are the descendants of the exiled Divide supporters (according to the official propaganda — "The Gone"), who call themselves Jericho. They never negotiate. Captured Jericho are surprisingly resilient during questioning. The only discovery is that they are led by Bartle. This region of the galaxy is now called Bartle Sector, and this war goes down in history as The First War for the Bartle Sector (3479-3611). Jericho greatly advanced in terms of technology and found their place in the struggle for survival. The inner Direktorium enemy is also awakening — the Revenant Order. They provide valuable intelligence to Jericho. Direktorium loses one world after another. The army grows discontent. Many agree that Jericho can be pushed back, but the government is somehow slow to counter-attack. In 3570, the so-called purity Revolt happens under the flags of the 4th Separate Brigade. A group of military conspirators overrules Direktorium power and forms EMG (emergency military government). One of the generals is appointed Commander in Chief. In the face of a dangerous enemy in the form of Jericho Direktorium members have to resign in order to avoid a civil war. EMG mobilizes all available forces — military factories and shipyards are nationalized, taxes are raised dramatically, death penalty for desertion or even retreat is introduced. Media tacitly accept a centralized program of propaganda. A response to the brutality of Jericho is twice the cruelty. With the huge losses the war is turned around. Jericho are finally dealt a decent blow, and they have to retreat. Commander revokes the state of emergency and immediately announces the formation of the Empire. He himself, renouncing his own name, becomes the Emperor. Despite the victory over Jericho, the Empire does not develop success. The reason, oddly enough, is excessive bureaucratization of the Executive Assembly of the Emperor. Empire policies breed strong discontent among the population of some of the worlds. A new wave of civil disobedience exponentially rises after the execution of several former executives of Direktorium. According to the media — a plot against the Emperor is being developed. Inner worlds executed with the help of the military loyalists raise a rebellion. There is a mass desertion — whole military units, along with ships are taking the side of the rebels. The Empire is trying to firmly put down the rebellion, but does not achieve immediate success. By order of the Emperor the Solar System is blocked by special military units, that later formed the Warden Order. The objectives of the Order are to protect the solar system and the Emperor himself. Gradually, the rebels unite a number of star systems. They are joined by some of the outlying worlds that do not want to be resource fringes of the Empire. Part of the rich worlds of the inner ring, trying to relieve the heavy tax burden and gain administrative autonomy, also support the rebellion against the Empire — openly and in secret. In XL century an alliance is formed, which calls itself the Federation of Free Worlds. The group's most influential merchants, aristocrats and politicians form the Federation Council. Military power of the Empire, being an order of magnitude higher than the rebel forces, forces them to resort to guerrilla war. In turn, the emissaries of the Federation develop active propaganda in the population centers of imperial worlds. That often turns out to be successful and leads to strikes, riots and uprisings. Year 3979: realizing the direct threat of the protest, the Empire comes to an agreement with the Federation on the recognition of its legitimate formation. Empire once again turns its gaze on Bartle Sector and initiates a large-scale military campaign against Jericho, known as the Third War for Bartle Sector. The campaign is not successful: Jericho are back on their feet after the fatal retreat five centuries ago. Their closed caste of tech fanatics without the usual morality, is able to create stunning models of weapons. There are reports on the participation of Revenants in the process. In direct opposition Jericho ships are far superior to imperial. Only sheer numbers allows Empire to hold the position. Jericho travel on the giant wandering bases (which they inherited from their ancestors, banished from the Earth on the ark-prisons) appear in different systems of the Empire, causing sudden and serious blows. Empire leaves Bartle Sector and focuses on the protection of their territories. Constant Jericho raids, attacking all systems indiscriminately are forcing the Federation and the Empire to retaliate and cause an unexpected blow to the heart of the Gone civilization. A specially formed Vanguard, which included the elite fighters of the Free Worlds, performs a flawless operation aimed at eliminating Bartle himself. Taking advantage of the attack, Revenants (who have become a Jericho Family), betray their patrons. The reasons for this action are unknown, and the consequences — catastrophic. The result of these events is the death of the Oracles (ruling on behalf of Bartle) and the destruction of the internal Jericho communications network — the neural network. Their social structure is literally torn to pieces — many drifting cities that used to be havens for huge family clans, cease to operate under a single command, obey a single will. Scattered Jericho armies are spontaneously formed attacking the Empire and the Federation with little care. But more and more voices are calling for peace among Jericho society. Federation diplomats, acting methodically and purposefully convince senior Jericho families deter others in attacks on other worlds. In effect, the Federation becomes, a trading intermediary between the Empire and Jericho. During an anti-pirate raid in a remote sector, a small detachment of Federation Vanguard detects powerful energy signatures coming from a sector #1337. Vanguard intercepts a message: ‘Bartle Orders not to meddle. We found them, but staying inside is too dangerous.’ It Soon becomes clear that the sector is a battleground for the Empire’s regular reconnaissance fleet, a Jericho Mendes family fleet and a third, unknown party. The battle ends with the defeat and retreat of the Empire and Jericho. Soon the Empire issues a special decree, blocking access to the sector. Federation intelligence, meanwhile, decides to use information gathered by Vanguard to destabilize the Empire and presents it to the general public. Adventurers immediately flood the restricted sector. The few of them who are able to come back alive talk about giant structures, animated crystals and incredible treasures of an ancient civilization. The energy signature that was recorded by Vanguard, meanwhile, has not disappeared, but instead began to gain strength. Soon, scientists claim — the Signal is back! It’s significantly altered, distorted and weakened, but this is the Signal! The general public forms a mind image of the Precursors — an ancient civilization that lived before us. Sector 1337 is named ‘Precursor Sector’. After the incident in the Precursor Sector, ore deposits of Iridium are discovered across the galaxy. Abnormal material actively responds to the returned signal. Quite quickly it becomes clear that this is the key to a new technological era. The main use of Iridium — as fuel in ship reactors and high power artillery systems. Unfortunately, ore processing technology is very complex and costly. Iridium Fever gives impetus to the development of technologies that expand the boundaries and help study remote sectors. Some corporations purchase not-too-promising mines and, with their unique know-how, there start actively producing Iridium. Fringe sectors, previously considered hopeless, get a new development boost. During this period, there is a large number of small colonies and Iridium mining stations. Soon there is an outbreak of an unknown virus. However, authorities are able to hush up the incident. One of the most important discoveries of this time is the new space scanning system. While studying a Precursor artifact one of the Federation corporations finds the secret of a location with the anomalous emission. The head of the project claims that the artifact was specifically created by Precursors to find the signal. The technology is copied and reproduced. And while this discovery causes heated debate in the scientific and theological communities, specialized navigational beacons appear on the black market. With their help, the Precursor civilization ruins are discovered at different points of the galaxy. Among the mercenaries and free captains, under the auspices of corporations begins the hunt for artifacts. Most often, they are simply melted into Iridium. This practice becomes very common, though perceived by the general public as barbaric. Since 4610, after the return of the Signal, it only intensified. Gradually, this activity began to significantly interfere with most technological systems. Warp jumps over long distances have always been a risky business. Now even travel to neighboring systems has become unsafe. Over the next few years, scientists manage to make Signal ‘jammers’ using old Earth blueprints, allowing to reduce the risk of travel. However, even with the jammers ships enter the warp gate but never appear on the other side. Where they appear instead — is not yet clear. Rumor has it that someone managed to come back. Due to the portal storm, many trade and military routes are interrupted, some have to be re-plotted ‘the old fashioned way’ — from system to system. Pirates are getting more active everywhere, as well as the Cartel. Cybers appear in Jericho sectors — the dregs of society, fallen into dependence on cyber implants. Who or what provides them with warships is still unknown. Local outbreaks of Liu virus are detected across the galaxy. Some planets are under quarantine. At the same time, the so-called biomorphs start their attacks. At the very beginning they are mistaken for Aliens. But then it becomes clear that they use reshaped human ships. They mutated under the influence of Liu virus. They appear on the battlefield suddenly and act like wild animals — hunting prey in packs. Any attempt to contact them are futile. Among scientists there are theories about their mode of communication. Many are inclined to believe that biomorphs have something akin to a swarm intelligence. The way biomorphs travel is still not well understood. It is not clear how they manage to open portals in space without warp gates. Sometimes they attack Iridium mines or caravans. And sometimes they appear in sectors without any apparent purpose. Soon Crystallids join Biomorph attacks. They are called this way because of visual similarity of their ships with crystals. After the first clashes, an Elite Warden Squad manages to capture one of the ships. To everyone's surprise, it turns out that it has no crew. The captured ship is delivered to a secret laboratory for research. A few days later, it activates and establishes some sort of contact with the scientists. It becomes clear that Crystallids are ships that somehow became sentient. Crystallids manage to connect to the internal network of the lab, and then establish connection with several military factories of the Empire. Only with the help of a miracle, and self-destruction of the laboratories the link is interrupted. More than a dozen systems show traces of the Precursors. Liu virus rages across the galaxy. Frequent Alien attacks become the norm. Practice shows that Aliens are extremely territorial and reduce their activity if ‘left alone’. More and more worlds are quarantined by one faction or another. Following the tragic events of the previous years, diplomats of the three sides of conflict gather to discuss important issues of Aliens? During the lengthy negotiations, they agree to sign a Memorandum on quarantine. According to the document, quarantined systems are completely blocked for flights. Each faction agrees not violate quarantine set by others. Nothing else is achieved — the sides still do not trust each other and are not ready to unite even in the face of a common enemy. In spite of the agreement on the Memorandum, everyone is interested in getting valuable resources, artifacts and data. Soon corporations and mercenaries allow flights inside the quarantine. Free captains hunt for Aliens and Precursor artifacts. The study of Crystallids and Biomorphs yields first results. New technologies appear, mainly in the military department. The greatest success in the study of Aliens is achieved by Jericho. Empire, on the contrary, after the tragedy in the Warden laboratory, imposes a moratorium on the use of Alien technologies. Policies regarding the Precursor artifacts are clear: destroy and melt. Empire focuses on its own tech progress. Science budgets are inflated to astronomical values. But soon they prove their worth — new Empire developments are in no way inferior to Alien weapons. Federation, as usual trying to balance between the two extremes, uses the technology of both parties and also pushes its own research. Despite the fragile peace between the sides of conflict, a hidden arms race begins. Frequent minor military skirmishes blow up across the galaxy. Aliens also increase their activity. More and more, they venture outside the quarantine areas. There are new types of Crystallids — larger and more dangerous than the previous ones. There is a theory that Aliens are attracted by ridium, and therefore any sufficiently large storage of this ore, whether a transport or a research laboratory may be under threat. There are few who doubt that humanity is on the brink of the largest war in history. Alien attacks start in all worlds. Crystallid offensive fleets lead the charge. The first blow that landed on the outskirts, was only a combat reconnaissance. Soon after, attacks begin in the inner worlds as well. Some systems are destroyed, others are fiercely fighting. Civilians flee the attacked worlds in horror. Refugees tell of anomalies, huge alien ships and their deadly weapons. Cybers activate their beacons attracting Aliens in various sectors. In addition, they open portals into their own worlds. There is no doubt, Cybers fight on the Alien side. Meanwhile, from the inner worlds there are reports of increasing Revenant cult activity. There are rumours of appearances of Bake-kujira, ‘Ghost Whale’ — the Revenant flagship. Incredibly huge ship appears out of nowhere and attacks allegedly random targets, then just instantly disappears into nowhere. Revenants openly attack a number of planets. They organize terrorist acts. Their appearance leads to Liu virus outbreaks. When the epidemic becomes uncontrollable, Biomorphs form a swarm around the planet. Soon the planets themselves literally come to life and go out of their orbits. The nature of this phenomenon is not yet known, but scientists call these animated planets ‘Bions’. Because of these attacks and disasters, the fleets have to be spread out, which greatly reduces their effectiveness. Portal storm has dissipated, but it’s still difficult to shift significant forces over long distances. Some systems are completely cut off from the rest of the world. Comms are also broken, and no one knows what is happening there. Facitons start using the services of corporations and mercenaries to defend their territories from Aliens. States remove the moratorium on the construction and operation of large warships by individuals. First corporate dreadnoughts appear. The war caught Jericho off guard. Its huge fleet was ready to directly attack the Aliens. But first isolated attacks inflicted significant damage to infrastructure and logistics. Iridium mines and several key shipyards were lost. Family Council decides to go into deep defense. Because of this they have to interrupt almost all contact with the outside world. Only small fleets continue to patrol the borders. Fearing betrayal by the Federation, Family Council transmits all trade contracts to private corporations. Weeks later a scandal shakes the highest circles of Jericho. Details are unknown to the general public. One thing is clear — Mendes family is in the center of the scandal. The same day, Mendes leave Bartle sector with all their fleet. Mendes openly declare that they are no longer going to carry out any of the arrangements of those signed with the Council, including peace treaties and quarantine memorandum. They say their sacred duty is to destroy the Revenants. According to them, the cult perverted Bartle’s doctrine and is a threat to all humanity. Pretty soon Mendes take the infrastructure Jericho left after isolation. Mendes Station IX, as before, is ready to work with mercenaries . The role of the latter increases significantly — Mendes family trusts them with the most important and dangerous missions. As the family fleet does not conduct aggressive actions in relation to the Empire and the Federation, the two factions decide to leave them alone. After the signing of the trilateral Quarantine memorandum, the Federation starts using corporate mercenaries for operations in the attacked sectors. This greatly strengthened the position of the latter. But not so much as to disturb anyone in the Senate. Jericho isolation upset this balance — hundreds and hundreds of key contracts were lost. Corporations were thought of as ‘agents’ of the state. Now serious power is concentrated in their hands. The situation is getting worse due to the fact that Armada is busy fighting with Aliens and can not ensure the safety of trade routes. This problem also extends to corporations. Soon, their lobby in the Senate reaches an unprecedented scale. More and more new laws give corporations almost unlimited freedom. Federation property goes into their possession. Sometimes even openly pirate captures are legitimized. Node station Sentinel-17 receives a distress message from Sentinel-21. ‘Twenty-First’ ensured the security of an important Imperial iridium mine on the border of the Crystallid quarantine zone. A message is brought by a Dreadnought, that ensured the departure of the last batch of Iridium. According to the captain, chaos reigns in the sector. It all started with a Crystallid attack. This happened before — each time the defenders managed to repel the attack. But this time, the enemy fleet was much stronger than usual. At the same time, a distress signal came from the mines. The planet literally went crazy. Its surface was set in motion, and very soon it became clear that the planet became a Bion. Crystallids immediately approached the Bion and dealt a powerful blow with all their weapons. They literally opened up the surface of the planet. Kilometers of Iridium-rich rocks revealed the outlines of an ancient titanic structure. Whatever was hidden in the core of Bion, clearly had an artificial origin. When Dreadnought started the jump, the last thing its sensors detected was that the Sentinel-21 had all the energy transferred to the shield and went on the defensive. It is possible that there are still survivors there. „In the last days of 4614, the border sectors were suddenly attacked by Aliens. They were not just probing the defenses like in the Fall. No, the gloves were off. The Aliens did not just hit the border sectors. The blow fell on almost all of mankind’s systems. It was sudden and powerful. In many ways, it was unexpected because of Cyber activity. Their cells have activated a number of large and small signal emitters attracting Aliens. As a result, Aliens were able to get to the most remote systems of mankind’s space. Cybers supported their new masters and stabbed us in the back. It all started with discovering systems with the remains of a mighty civilization of Precursors. Three major forces in the galaxy — the Empire, the Federation and Jericho — started fightingt for the possession of knowledge of this bygone supercivilization. At the same time fleet command became greatly concerned that sometimes the scouts stumbled upon ruined stations in their search. However, those were just unremarkable colonist settlements, without any signs of Alien structures. Fearing a stab in the back, and not wanting to risk combat squads, all races decided to refrain from sending large fleets to these anomalous zones. Under these conditions, services of mercenaries and military pilots wishing to risk their heads in search of mysterious artifacts, a legacy of bygone civilizations, became particularly valuable. Mercenaries flooded the border sectors, ready to do anything just to get artifacts and sell them for profit. The first samples obtained in the remains of an Alien civilization did not give an understanding of the essence of a vanished race. The underlying technology of these artifacts turned out to be far superior to that known to mankind, and their purpose and mechanics baffled even the brightest scientists. However, this delight the scientists, because it promised years and years of fascinating research. But even more delighted were those who love to make a quick credit. It was found that the content of Iridium, a very rare element in the Galaxy, in these samples exceeded the norm by a thousand times. Its price on the black market skyrocketed and dealers of all kinds started paying close attention to the new source of profit. Three major races failed to peacefully divide the sector with artifacts and Alien structures. They tried to establish control over the sectors using the forming mercenary corporation. One corporation almost managed to capture the entire sector for the glory of the Federation! „The situation in the border sectors escalated. Fights between mercenaries grew fiercer by the hour. And then came the Aliens. They did not conduct negotiations. They destroyed anyone appearing on their radars. Aliens opened portals right to the main stations of each race. Thus began the Invasion. At first it looked innocuous enough. Yes, the Aliens were strong, but they were never too many. Some pilots were able to visit their territories. Scientists believe it to be some kind of parallel space. It’s not our world. It’s completely different and hostile. The war motivated fresh research. The hunt for artifacts faced a revival. Detailed studies of possible applications of Iridium allowed scientists to use it in a variety of industries. Over time, numerous ways to use Iridium in military technology and in civilian life were discovered. The price of Iridium grew. So did the mercenaries’ profits. At the same time humanity managed to capture and explore some of the Alien ships. Races found a way to integrate Alien tech into known technology leading to a host of lethal weapons, unique ships and incredibly strong armor. With each passing day the Aliens were losing more ground. A counterattack was in order. Suddenly, people started hearing of sabotage on their home turf. Artificial Intelligence, created by a powerful corporation ‘Blackwood’ went out of control and attacked civilians. The corporation is still holding back the spread of the threat posed by AI, but does not dare destroy such a valuable project. Elsewhere a mighty Imperial Dreadnought was badly damaged in a battle with Aliens, and dropped anchor in an asteroid belt for repairs. Suddenly a massive pirate attack pushed back Imperial forces and captured the dreadnought. Since then, the Empire, with the help of mercenaries, has been trying to regain control of the ship, yet to no avail. In the meantime, one of the largest mining stations in the sector became an object of interest for pirate cartels eager to take possession of this rig. Federation used the services of mercenaries in order to protect the station. But Cartel keeps stretching its network further. It went as far as encroaching on a Federation dreadnought and trying to activate its weapons to get a huge advantage over their enemies. So far they failed. Among the general confusion, pirates started crawling out of their holes and trading artifacts. They even managed to use them in order to assemble truly powerful ships and weapons, which soon hit the black market. Sometimes hirelings ‘pay visits’ to the pirate base in order to try their luck in seizing pirate treasure. Alien artifacts are also being actively studied by corporations. And not all of them devote their research to a a good cause. Take the ‘Ellydium’ corporation that actively trades with the terrorists. And amid all this, mysterious Cybers — Jericho apostates, are not getting involved in the confrontation with Aliens. Cybers settled in an abandoned Jericho, and started exploring space with an extremely powerful radar rig. Why do they need all this? Many mercenaries ask this question, and when the next Cyber flotilla leaves for an unknown destination, they attack the station, and quickly download the data. Thus were obtained the coordinates of several mysterious objects, including an abandoned complex of an ancient civilization. But why Cybers are exploring space remains a mystery. Despite the threat from all fronts, humans are gaining ground. They become stronger. They stand up to the Alien threat. But everything changed with the appearance of a huge Alien ship, a true fortress, dubbed ‘The Defiler’. But even the appearance of such a large and powerful ship as the Defiler did not scare the authorities. A hunt for the Defiler was open. Many mercenaries, clans and corporations used it to hone their Alien-fighting skills. As a result, corporations found a way to eliminate it. Yes, it was a fun time. Careless and risky. The Aliens are close, but we are stronger than ever before! In fact, we became too sure of our power, relaxed on the wave of success. We lost vigilance. Got weaker. And the Aliens dealt their evil and powerful blow. A blow to all systems of mankind. Fighting is still ongoing, but many systems have already been completely ruined, while others are isolated and the situation there is completely unknown. The huge Alien ships - Defilers - were able to break through the defences and destroy many of the industrial and mining centers. Thanks to mercenaries and new weapons, we managed to defend the border areas. Aliens retreated. But chaos remained. Some locations were completely destroyed. Many colonists, mercenaries, pirates died. Some became what we call ‘Biomorphs’. Now they see people as their enemies. „The war with Aliens reached a new level. Some locations are completely destroyed. Major hubs are blocked by the advancing enemy. But even in this chaos, people manage to survive. Exploring the use of Iridium has allowed mankind to create new engines that allow small ships to travel through the warp gates over very long distances without any consequences. Previously, in order to get to the disputed territory, the mercenaries had to travel by cargo barges or dreadnoughts. Now the disputed territories can be traversed by any mercenary on his ship. Features of the new engine, new applications and prospects impressed corporations so much that mercenaries are now being sent to the contested territory for clean-up and search for artifacts. Hunt for Iridium has begun. At the same time a new threat to mankind was discovered. Cybers are now on the Alien side. In some locations they left mysterious beacons, apparently made with Alien tech, whose purpose is yet unknown. Corporations began to place risky contracts for the study of Cyber beacons. And the invasion was under way. Mercenaries encountered entirely new Alien ships that destroyed entire squads of elite soldiers in a few seconds. In some locations there were sightings of new structures similar to portals. There are indications that these structures were also built by Cybers. Political situation also changed significantly. Old World Order collapsed. The dominant forces of the Empire, the Federation and Jericho started rapidly losing their influence in the border sectors. They continue to cling to power, despite the fact that part of the sector has been destroyed. Mercenary corporations step forward as a new force on the ruins of the old world. They have the money and the real military power. Study of the use of Iridium and new tech discoveries allowed corporations to start thinking about building their own dreadnoughts. The local administration, that in fact is no longer able to defend the border sectors is also pushing for this. They are prepared to leave sector protection at the mercy of corporations in exchange for ensuring uninterrupted supply of raw materials and products with state-owned mines and factories. According to some information from race intelligence, corporations are going to significantly upgrade the regular dreadnought models and use new modules and weapons built using Alien technology. Panic among the races during the active phase of the Invasion allowed corporations to use bribery, threats, and in some places industrial espionage to get their hands on a large number of research of advanced Alien technology. This greatly increased the power of existing fleets and will strengthen them even more, after the completion of dreadnought construction. Corporations will inevitably start a fierce battle for sector control using the threat of Alien invasion as an additional element of intimidation and influence. In fact, Aliens are not defeated. The invasion is not stopped. Aliens only temporarily retreated and hid. They left behind destroyed territories and mysterious portals spawning ruthless biomorphs. This collection is not listed in the game. shift + 'left mouse button on any item' (while chat text line is active) = name of selected module, resource, ship, etc. is displayed in chat as color coded text that provides tool-tip information of the item in a pop-up window. Launching SecCon is possible solo or in groups (min. 4 players). However, in each case the player has to be in a corporation that has a dreadnought which is moved either to a sector owned by the corporation (defending, collecting defense/influence points) or to an enemy corporation's sector (attacking, collecting capture/influence points). Moving a Dreadnought is done by CEO/VP/Officers on the 'Corporate Battles Map' by right clicking on a sector then on the 'Change deployment' text in the pop-up window. This operation costs a certain amount of corporate iridium. Sectors are divided into three different levels: level 3 (rank 7-9), level 4 (rank 10-12) and level 5 (rank 13-15). In order to launch into SecCon, players have to have at least three rank 7-9 (or rank 10-12 or rank 13-15 resp.) ships in their ship slots and no ships from any other ranks. Launching SecCon solo is possible. I this case the game will notify the player that the battle will be taking place with a random team on a random map. There are several (4 to be exact) distinct hours for SecCon battles each day. To see the times of these battles one has to open the Galaxy Map then switch to Corporation Battles Map with the little dreadnought icon in the top left corner of the map window. The times displayed above the sectors mean the player's local time and when SecCon battles begin. There may be one hour difference (+1 hour during summer time) between the times displayed and the actual battle times due to daylight saving changes. Winter time change is currently in effect. SecCon battles start at the times displayed on the map. Each hour, when there is a SecCon session battles of all three levels (3-4-5) start at the same time at round hour. (SO, for example in Empire sectors, rank 7-9 at 19:00 CET (Central European Time)). Battles for sectors are available for 45 minutes on each level/class. One battle is max 12 minutes long. SecCon players can use the 'Conquest' button that is located in the main "Launch" screen along with other game modes like PvP or PvE. When the button becomes highlighted battles begin. SQ has multiple rounds depending on how fast a team wins, launches again and gets opponents. Usual squad/wing forming rules apply here as well. Starting battle with inappropriate ships is not possible. Inviting others into the squad/wing from outside of the corporation is not allowed. Wing size: min. 4 and max. 8 players. Squads/wings face other teams only from the same technical level. If there is no other team with the same number of pilots, then the smaller wing is filled with AI. Players may face Bot (AI) enemies in case no opposing team is available. Independent/solo players may be able to get into lover level battles with higher level ships. In solo players only battles players are matched against same level opponents. Tokens can be used and rewards collected by right-clicking at the sector owned by the corporation in 'corporate battles map' mode and by choosing "Collect Tax" in the pop-up window. Then players have to win PvP battles until all tokens have been used. If the corporation owns a sector then all corporation members are awarded tokens and not only those who play in SecCon. Tokens are given every other day but they don't stack so unused tokens will be lost. Sector Conquest preserves the map of locations with regular time windows for battles. (During battle sessions at round hour, hour 15 minutes and hour 30 minutes depending on sector level.) Victories in battles are rewarded with loyalty vouchers. All corporation members are also awarded tokens spent on rewards for victories in combat missions (PvP). Corporation CEOs and VPs can build dreadnoughts and CEOs, VPs and OFC (officers) can move dreadnoughts to locations with a level not higher than that of the dreadnought at any time. Corporations earn influence points for taking part in SecCon battles. They accumulate in the location where the corporate dreadnought is located, and remain there when the dreadnought is moved to a different one. Influence points are earned directly in sector battles as follows: Depleted durability points of enemy dreadnoughts. In this case, if the enemy dreadnought is completely destroyed, half the remaining durability points of the corporation's own dreadnought are also added to influence points. Influence points are divided between players according to their total effectiveness in combat. If a player earned 0 effectiveness, he would not get points. Influence points of players in wings and squads are added to the location with the corporate dreadnought of the wing or squad's leader. Location for rewards is ‘stored’ when players queue for battle, and then the dreadnought can be moved further. At the start of the battle window ("Conquest") opening, the owner corporation loses 50% influence points and challengers lose 10% of their influence points. Location battles take 30 45 minutes in each sector, then the owner loses part of the challengers' influence, which depends on the challenger's place in the location ranking. If the owner's influence is reduced to 0 — the challenger with the most influence becomes the new owner. When battles end, free locations are taken by the corporations with the most influence points. You can join the queue if the corporation dreadnought is in one of the active locations, and there are 3 ships of the location's level in slots. Players who are not members of any corporation, can not get in the queue. Selection of opponents takes place among those whose dreadnoughts are in the same location. The system significantly reduces waiting time for wings and all players in the queue. Players in the same corporation can not fight against each other. Maximum battle time has been reduced to 12 minutes. Reworked ‘Sector Conquest’ will be working in test mode for some time. Locations highlighted for active conflicts to space map. Corporation officers can move dreadnoughts between locations. Ships of ranks 7-9 will no longer be able to come together in a battle with ships of ranks 13-15. Battles for ranks 10-12 now start 15 minutes later, and in systems of ranks 13-15 half an hour later. Battle duration in locations is 30 minutes. Replacing ships and moving the dreadnought allow fighting for an hour. Pilots get loyalty for Dreadnoughts battles only when they win and earn of at least 100 efficiency points. Pilots, who left the match before it ends, do not receive loyalty. To reconfigure destroyers or secret project ships right click at the ships in ship slots or in ship tree and choose 'Refit ship'. It will cost only credits and nothing else. Ship disassembling is no longer available. The meaning behind the SM logo is clear and powerful just as the corporation itself has always been. The yellow 'S' from Stellar represents the stars of the sky while the blue 'M' from Marines stands for the endless sea of space. Like Yin and Yang, allies and enemies, the dueling fire and water symbolizes the eternal fight and unity of opposing forces that could not exist without each other. The circular design is closely related to the official logo of the Federation and its factions, the Armada and especially the Vanguard, and therefore it is truly a proper representation of the Alliance of Free Worlds. The character design was inspired by the texts used in Star Conflict. The SM symbol is well known in the Star Conflict universe whilst pilots of Stellar Marines have been well respected and considered as worthy allies and enemies throughout the years. The honor they get have never been sought but earned by their actions in war and peace which tradition should always be carried on by every Stellar Marines member. hello. Is there any interest in using or obtaining this again? http://steel.shivtr.com/ I don't know who it belongs to. Maybe it's 1ace1's. At least we have a nice topic yeaah! Well, I don't know. I know of this site but it has never been used actively from the beginning. Its owner does not play SC anymore so I don't see what we could do about this. Also, it is unnecessary to use yet another forum since this thread is more than enough for our corp already to handle. I found this song some time ago when dreads came out and I really like it. We don't seem to care much about playing dreads lately so I just put it here too to give you all a good mood for SQ. Have a good Silvester and an even better 2016 people. Another song to make dread battles feel epic. This song fits her well. Yes, I like it much. 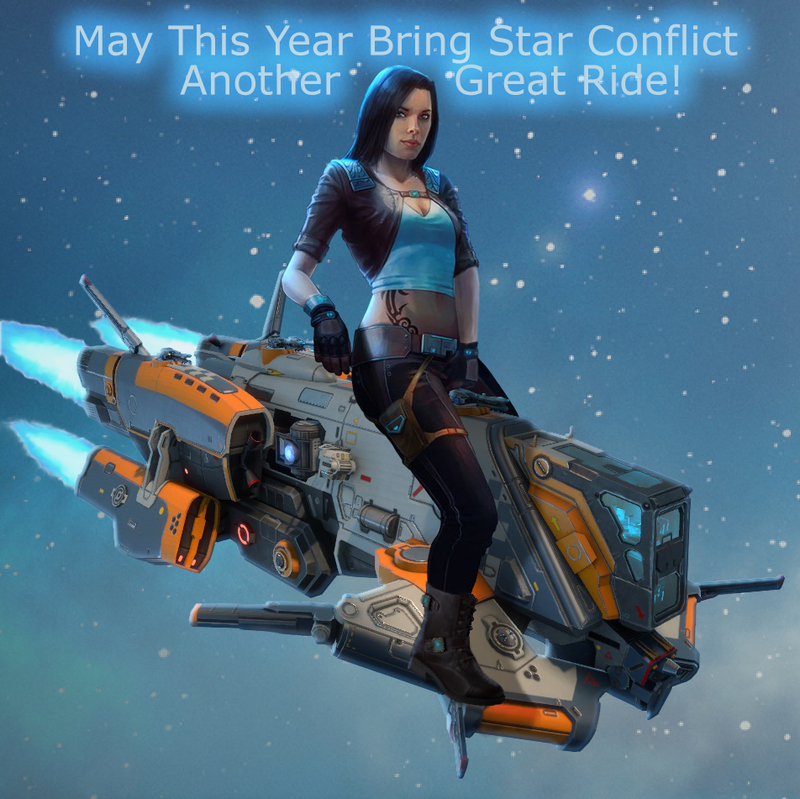 Happy New Year Star Conflict! In order to put any contents in a spoiler click at the 'Special BBCode' option, the 3rd icon from left in the top row of the Reply window's toolbar. Then choose the Spoiler from the drop-down menu and write any content you like, texts, links, etc in the empty box where it says 'Enter the text to be masked'. Then press OK. It will put your content into the body of your message between two spoiler indicators. Only after clicking at the Post button will the content appear as spoiler. Since the forum has been reworked, editing posts has changed a little. Now to make a spoiler simply click at the "eye" icon among the editing tools then into the spoiler box and you can write, paste links or put attachments in there directly. When done, click at the submit/save/edit button on the bottom. Thanks Sin for the spoiler tool, is pretty useful. Destroyer super testing will be streamed today, Jan 13, MSK 19:00. See 'What all we know about Destroyers' topic on Forum. Direct link to this topic in 'Important Messages' or here: http://forum.star-conflict.com/index.php?/topic/29151-what-all-we-know-about-destroyers/page-4#entry348508.